Sunset On The Marsh is a painting by Lisa Marie Dole Skinner which was uploaded on July 16th, 2010. ~Contemporary cottage art; perfect on a bookshelf, or small easel. 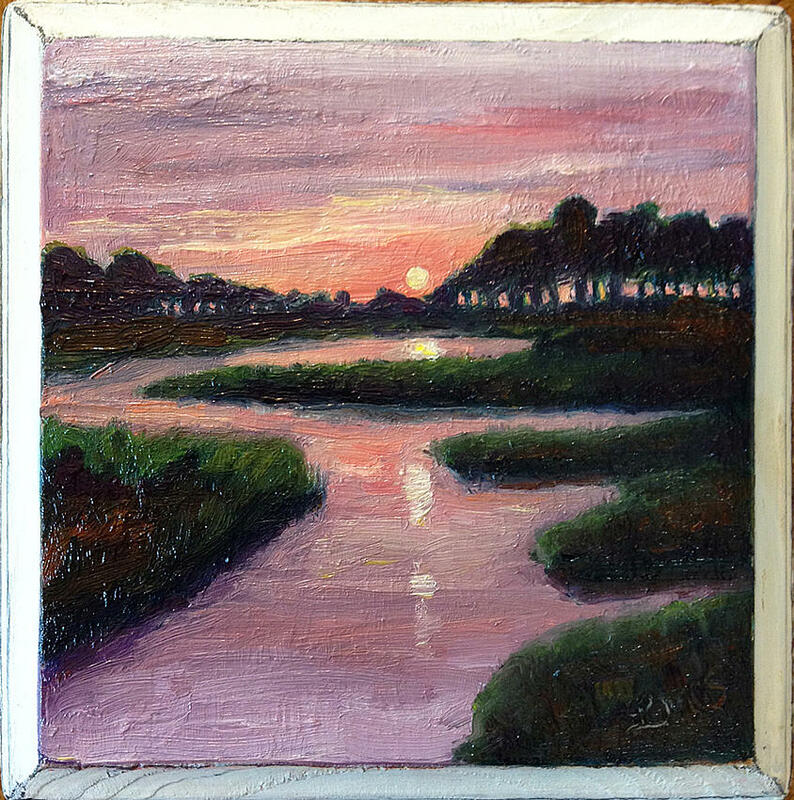 An oil painting study of a sunset on a marsh in New Castle, Maine, the state where i grew up. I just returned from a vacation with my husband in Maine. I have fresh new photos of this wonderful vacationland. There are no comments for Sunset On The Marsh. Click here to post the first comment.